Cervical dystonia, also known as spasmodic torticollis, is a persistent, often excruciating, neurological condition in which spasms in the neck muscles produce repetitive contortions of the neck and make it difficult or impossible for the sufferer to hold their head up. The condition impairs normal motion and can cause relentless neck pain. Cervical dystonia can affect anyone at any age, but the average age of onset is 41, and women are affected twice as frequently as men. Symptoms typically develop over time. Spasms may be continuous or sporadic, but the involuntary contractions of the muscles are often painful. Cervical dystonia can be treated by a variety of medical specialists such as neurologists, specialists in movement related ailments and physical therapists. There is no definitive cure for cervical dystonia, but there are several treatment options. The most frequently used treatment is Botox. Botox is the first choice therapy for many patients, and for the majority of them, works effectively enough that it is the only treatment they need to manage their symptoms. Therapeutic doses of BOTOX®(onabotulinumtoxinA) injected into the muscles in the neck and shoulders is often an effective treatment for the muscles spasms, unusual head position and neck that are common with cervical dystonia. In the average patient, the effects of Botox last about three months. Physical therapy involving stretching exercises and in some cases a neck brace can be used in addition to Botox or other medications and therapies and have been shown to ease symptoms. In severe situations, or in cases that do not respond to other therapies, surgery can be performed. Surgery may involve either severing the nerve leading to the affected muscle or removing a piece of the muscle. While the effects of surgery are longer-lasting than other treatment options, this option carries the usual risks of surgery and should always be a last resort. The results of a major clinical trial suggest that a large percentage of people with cervical dystonia who were given BOTOX® saw notable improvement in head posture, decreased neck pain and and increased function during normal activities. Outcomes will vary among individuals and some patients may need multiple doses to get the best results. The muscle contractions are the result of hyperstimulation of the nerves controlling the neck. When injected into the muscles in and near the neck, the signals from these nerves is blocked, as are the pain signals travelling back along these nerves to the brain. As a result, both muscles spasms are minimized or eliminated for as long as three months at a time. 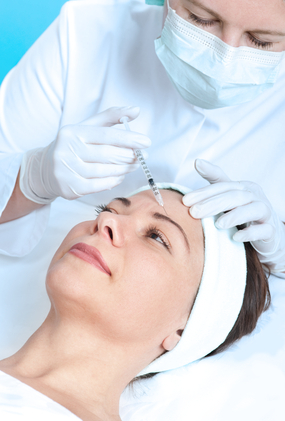 BOTOX® is frequently used in conjunction with physical therapy and sometimes oral medications. While surgery is possible, it is best reserved as a last resort for those who can’t get relief from other therapies. Talk to your doctor to find out whether cervical dystonia treatment with BOTOX® might alleviate your symptoms. If you are a qualified medical professional, and would like to learn how to treat Cervical Dystonia with Botox, visit our Botox Training Page and learn from the inventor named on the patent applications for Botox! Botox® (onabotulinum toxin A) has been approved to treat frequent migraines since July 2010 by the Medicines and Healthcare products Regulatory Agency (MHRA). 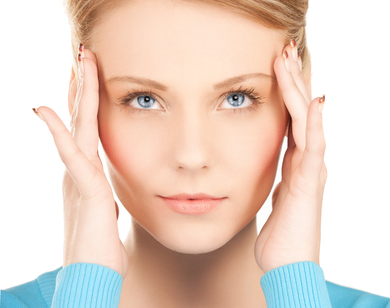 Botox® is not yet approved for infrequent migraines, tension headaches, or cluster headaches. Concentrated exposure to botulinum toxin can cause botulism, an illness first studied in the early 1800s, though the bacteria that produces the toxin, Clostridium botulinum, was not actually discovered until much later in the century. Seven different types of the toxin, classified A-G, have been discovered. A weak solution of botulinum toxin type A (Botox®) was first used clinically as therapy for squint and blepharospasm. Since that time it has been shown to be effective in treating muscle spasms, spasticity and hyperhidrosis. Other solutions consisting of botulinum toxin type A and type B are available, but they have not been used to treat headaches. In the 90s, people who were being treated with botulinum toxin for other conditions started reporting a reduction in frequency and intensity of headaches. Clinical trials for headaches were conducted with unfavorable outcomes. In most cases, botulinum toxin was no more effective than a placebo for tension headaches, infrequent migraines and other types of headaches. Later examination of the results of the studies suggested that some patients with persistent migraines might see a reduction in frequency, duration or intensity of their headaches. 1,384 chronic migraine sufferers participated in Phase 3 Research Evaluating Migraine Prophylaxis Therapy (PREEMPT) studies. Patients were randomised into Botox® or placebo. Prior to the study, participants experienced headaches 20 days a month on average, with 18 headache days being moderate to severe. Participants received injections of either Botox® or a placebo into specific sites on the head and neck once every 12 weeks over a course of 56 weeks. After only two of these treatments, the participants who received Botox® averaged 8 fewer headache days per month. By the end of the study, 70% participants who received Botox® reported less than half as many headache days as before. The side effects of Botox® were minimal with the most common being neck pain, muscle weakness and drooping eyelids. These side effects were temporary. How does botulinum toxin provide relief from chronic migraine? Scientists haven’t yet figured out the mechanism whereby Botox® alleviates migraine pain. In most conditions, Botox® works by relaxing muscles. In migraine, it’s thought that Botox® works by blocking certain neurotransmitters that trigger migraines. Could Botox® work for me? Only chronic migraine sufferers, those with at least 15 headache days per month, with at least half of headache days being migraines, are currently able to receive treatment with Botox®. Botox® isn’t the only treatment available for chronic migraines, so talk to your doctor about your options. Who can administer Botox® for chronic migraine? While Botox® is not restricted to special headache clinics, you should be certain that the person administering Botox® has been properly trained, both in diagnosing and managing chronic migraines, as well as the administration of Botox® according to the PREEMPT guidelines. Expect to give a thorough history of your headaches, including frequency, intensity, duration, triggers, symptoms and any medications or remedies that have been taken. If you are a qualified medical professional, and would like to learn how to use Botox to treat migraines, visit our Botox Training Page and learn from the inventor named on the patent applications for Botox! A new and exciting alternative method to traditional facelifts is the non-surgical type of facelift. It is an effective and ideal way to restore youthfulness without any complications typical of surgical facelifts. Safety is the first benefit of a non-surgical facelift, plus it also requires only a short span of recovery. Lastly, it is almost pain-free. During the evaluation and consultation phase, your doctor will ask you about your specific needs and concerns to ensure you will achieve your most desired results. It is recommended that you ask for some before-and-after photos of the patients whom the doctor has previously treated. Is it safe to have a non-surgical facelift compared to a surgical facelift? Any surgical procedure done to the human body has the risks of anaesthesia complications such as paralysis, infection, and scarring. In some cases, medical treatment or even further surgery is needed to be done to treat the complications done by the initial surgery. The recovery time necessary for traditional facelift surgeries is around one to two months and high dosages of pain medication are often needed. With non-surgical facelifts on the other hand, you may only experience minor bruising, redness, and swelling which will subside after only a few days. No pain killers will be needed and almost instantly you’ll be able to go back to your normal daily activities. What are the differences in the end result? The results of traditional surgical facelifts last for a couple of years. However, one unpleasant result is that you will look like you have had a plastic surgery. Most of the time, the results are very dramatic that it’s like having a new face by which no one would recognize you. The non-surgical type of facelift on the other hand will last one to two years or maybe more if regular touch-ups are also applied. You will look naturally younger without altering your original face. How about the difference in price? Traditional surgical facelift costs from around $5,000 up to $8,000. If you encounter complications, the expense will surely be much higher. With a non-surgical facelift, it starts from only around $800, but the final cost will be determined after the initial consultation or after you have specified all your needs. BOTOX is a painless and quick non-surgical method to do a facelift – developed to restore beauty, youthfulness, and freshness. More than TWO million BOTOX treatments are done in year 2003 alone – enough to measure its effectiveness and popularity. Restylane is a kind of cosmetic filler approved by the FDA to help eliminate folds and wrinkles on the facial skin as well as lips. Restylane’s active ingredient is derived from a natural sugar called hyaluronic acid which can be found in the human skin. It is this ingredient which makes Restylane a perfect choice as a skin or dermal filler. Its results may last from 6 months up to 1 year. Hydrelle is a very affordable treatment option for wrinkles. It is the first ever HA (hyaluronic acid) dermal filler with lidocaine that has been approved by the FDA. It’s a natural, long-lasting, comfortable and convenient way to fill in wrinkles in the face so you can acquire a younger looking skin. One syringe of Hydrelle can decrease wrinkles and may last for up to 1 year. 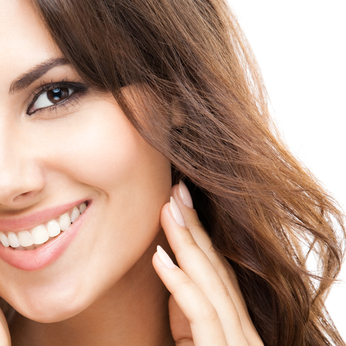 Juvederm is a gel-type, smooth filler that produces a more natural feel and look of the skin. Juvederm is also the only type of skin filler that contains the highest concentrations of hyaluronic acid. Its effects may last for up to 6 months and sometimes longer. Perlane is cosmetic filler that can restore fullness and volume to the skin, hence correcting moderate to severe skin folds and wrinkles such as the face’s nasolabial folds or the lines appearing from the sides of the nose to the corners of the mouth. Radiesse is a dermal filler that is often used in facial contouring. It can also be used to lift the cheeks and the eye brows, to straighten the nose, and also to smoothen the jaw line. It mainly consists of calcium hydroxylapatite which is a constituent of the human bone. It can usually maintain longer lasting effects compared to the other types of skin fillers. Do non-surgical facelifts really work? While BOTOX can paralyze the muscles and remove frown lines, facial skin fillers that contain hyaluronic acid can plump out skin that sag and give it a “lifted” effect which could last for one year. After 7 days, the frown lines in between the eyes will soften and most of the wrinkles will start to vanish. Generally, it will make the skin texture tighter and a lot smoother. After 1 month, the swelling will almost complete disappear and the effect will be subtler and natural-looking. Facial skin filler has the tendency to attract water which means, the skin will normally not be as dehydrated as before. With fillers, you should NOT be able to feel the dermal filler but rather, you should feel a much bouncier, plumper youthful skin. If you are a qualified medical professional, and would like to learn how to use Botox to enhance your business, visit our Botox Training Page and learn from the inventor named on the patent applications for Botox! Botox and Xeomin are both type-A Botulinum toxins. It is really difficult to state that one is simply better than the other when the truth is that both Botox and Xeomin only have the same active type-A botulinum toxin molecule. They are “packaged” quite differently (mainly because the way they are chemically prepared are different), but still they are the same thing. The only difference is that Botox is prepared with an accompanying protein, and Xeomin is bare. All of the Botox’s protein detaches within one minute of injecting in the skin, so virtually the effect is just the same as with Xeomin. Xeomin has been tested and proven effective in clinical tests and is recognized in the US and Europe to effectively diminish glabellar wrinkles (wrinkles in-between the eyebrows). One important thing to note is that when using Botox or Xeomin, no one can really establish one hundred percent accurately what the generalized “conversion” aspects between the type-A neurotoxins, Botox and Xeomin, (or Dysport) are. For instance, it is only in approximation that “one unit of Xeomin produces equal activity to one unit of Botox”, or that it takes “two or three units of Dysport to produce the same effect as one unit of Botox.” While these guidelines may be helpful in determining the doses for patients, they should only be considered as that, guidelines. In some instances a patient will need a little more dosage than others to attain the expected results. This part here can really only be realized through the injecting doctor’s experience, as well as the patients’ experience or reaction with a particular toxin. For people who have previously tried Xeomin but found it to be ineffective, or “not as effective as Botox,” it is more likely that the explanation lies with that individual person’s dose/response rather than Xeomin’s overall effectivity. Some people could have stronger muscles or thicker tissues, or they may have other incomprehensible underlying reasons which is why they need more toxins to achieve certain clinical results. It could be expected that for a person treated with his/her “ideal dose” of Botox, Xeomin, or Dysport, its effects would be more or less the same with regards to the treatment’s efficiency as well as its duration of taking effect. Over time we have become more acquainted with the use of Botox, so at this stage it seems that it is easier to conclude that Botox is more effective because it is more predictable – a fact that has been shown by several studies in the literature of “face lifts”. Still, the message behind all of these is that if you wish to try Xeomin, it helps to be aware that it may require one treatment or two, or it may take a touch up or two, to determine your ideal dose. Once your ideal dose has been determined, you should be able get reliable results from Xeomin just like you would from using any other type of neurotoxin. Botox is a much popular brand nowadays that people ask for facial augmentation by the name of Botox, but many people too are uncomfortable about trying a new product that has only been around for a few years compared tp one that has been on the market for over 15 years. Additionally, there is also evidence that Xeomin’s effects may not last as long as Botox, but again this is still a controversial issue. Hopefully, in the near future there will be more studies to verify or disprove this but for now, there is no valid reason to believe that one lasts longer than the other… Only time will tell what the absolute truth is. Finally, the benefits of Xeomin include that it is regarded as a more purified version of the active component of type-A Botulinum toxin. Basically, Botulinum toxin contains proteins and an active component (the element in the drug that produces the key effect). Xeomin eliminates these proteins and thus the idea that Xeomin results to lesser allergy risks point to the notion that the allergy risks involved is closely associated with the removed proteins. On the other hand, there is also another version to this story. Some people suppose that the said proteins are important for making the Botulinum drug work more effectively, which may be the reason why Botox seems to last longer. Botox retains some of its “excess” proteins that may have a part in improving its results. So what do you think? Is Botox much better or Xeomin? If you are a qualified medical professional, and would like to learn how to use Botox or Xeomin to enhance your business, visit our Botox Training Page and learn from the inventor named on the patent applications for Botox! There’s good news and bad about Botox: it doesn’t last forever. That’s bad, of course, because you have to regularly spend money for Botox injections if you want to maintain its powerful wrinkle-reducing impact. It’s good that the effect is only temporary, however, if you get botched Botox. You don’t have to worry because your skin and muscles will return to normal after a few months. So exactly how long does Botox last? The length of results depends on how the product is applied and what dosage is used. The face contains 43 muscles, and the right dosage range is different for each area. Within each area of the face, the right dosage can vary too. Here’s an example: crow’s feet around the eyes usually take 8 to 14 units on each side. The muscle group between the eyebrows — called the glabella area — contains stronger muscles that need 18 to 36 units for maximum effect. Not surprisingly, your body’s particular characteristics have an impact on the question of how long Botox lasts. If you have thick muscles, more injections are required to get the desired effect than if you have thinner ones. Rather than injecting deeper into thick muscles, more injections are done to ensure that the same safety standards are met. Athletic patients may see the results from Botox injections fade faster. That’s because active bodies heal faster and therefore work more quickly to eliminate the solution from the body. There is another piece of good news for everyone, however: Just like with many other beauty regimens, consistently using Botox makes each application work better. That’s because wrinkle-causing muscles get weaker with each repeated use, allowing the impact of the injections to last longer. When Botox isn’t strong enough or the proper number of units isn’t administered, results may not last very long. Also, getting Botox for deep-set, static wrinkles may not give you much improvement. So once again, how long does Botox last? When administered correctly by a skilled doctor and injected into the right places, expect to see results that last 3 to 4 months. While this can vary widely, you should certainly expect results that last several weeks. Some say that when done regularly over the course of a number of years, Botox can start to last up to 9 months or even a year. While there’s plenty of anecdotal evidence to suggest that, there’s no research to back up this assertion — yet. It’s also true that first time users of Botox injections might find that the solution wears off in less than the anticipated 3 months. Facial muscles get conditioned to the injections, however, and results are likely to lengthen. It’s also likely that Botox injections done around the eye will last less than 3 months. For men, larger doses mean potentially longer results. Simply saying that Botox lasts 3 months or so covers most exceptions and eventualities. If you notice your Botox treatment wearing off more quickly than you expected, it makes sense to talk to the person who administered it and find out the reason for the short lifespan of the results. Was the solution diluted? Was too little used? Was the Botox old? Did your anatomy require an unusual procedure? Is it possible you’re simply resistant to Botox? Any reputable physician will want to work with you and help you determine how to make treatments worth the money and the time. Also, take into account that Botox may need 1 to 2 days to take effect and may not peak in impact for 1 to 2 weeks. In summary, saying that Botox lasts 3 months is generally accurate, but there are many caveats. When it lasts a very short time, however, you need to take action to find out why it didn’t last longer for you. Botox vs Dysport: The Better Answer To Our Wrinkly Woes? “Aging gracefully” is often over-used by people to describe someone who is older and has little to no wrinkles on their faces. While each one of us would want that from our old-age, having a naturally wrinkle free face is pretty hard to achieve. Lots of factors come into play like genetics, nourishment, fitness etc. for someone to have absolutely zero wrinkles as they age. Luckily, for everyone without great genes, there are cosmetic procedures that can be done to achieve the same effect. For the longest time, Botox was the most popular procedure used for removing wrinkles from the skin, but with Dysport gaining its fair share of popularity in the recent times, some believe that it may even be a lot better than Botox. If you are considering to get one of these procedures done, continue reading to learn more about the effects of Botox Vs Dysport. Before you chose Botox over Dysport, or vice versa, it is important to understand what these are and how they are different from each other. Both Botox and Dysport are commercially sold drugs that are made up of neurotoxins which help remove wrinkles from the skin. Now, even though the main underlying mechanism for these two are pretty much the same, there are a lot of differences between the two, in terms of what composition of neurotoxins is in each one, how many units are required to get the desired effect and their cost. From clinical tests and results, it is known that Dysport has a quicker effect on its patients than Botox, although it is believed that the latter has a longer lasting effect. Further studies are yet to be conducted on these two to officially say which one lasts longer, but looking at what these injections are made of, it is almost likely for Dysport to win this battle against Botox. Because Botox contains significantly larger amounts of protein, it is very probable for the body’s immune system to kick in and fight any foreign particles entering the body. Dysport, with a much diluted quantities of protein, makes it easier for the body to not retaliate the injections. The diluted concentrations of protein in Dysport also makes it the best choice for the coverage of larger areas as it tends to spread out more and a lot quicker than Botox. The spreading out effect also helps in keeping the costs low because you end up using lesser amounts for treating the desired areas. To put all of this into perspective, ten units of Botox cost about $52.5 while the same number of units of Dysport will cost you about $6. All this to say, with so many positives about Dysport, it is also a good thing to remember that Botox has been around for longer and has a more extensive database with regards to the side-effects, infections or allergies it may trigger. It is advisable to consider these things especially if you have a sensitive skin or a weak immune system. If you are a qualified medical professional, and would like to learn how to use Botox or Dysport to enhance your business, visit our Botox Training Page and learn from the inventor named on the patent applications for Botox! 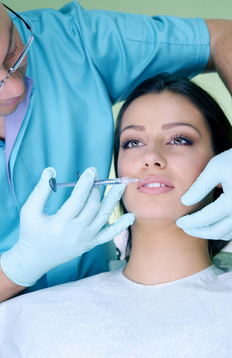 Putting a fine point on exact Botox prices depends on many factors. Generally, it costs from $200 to $400 or more per treatment depending on who is doing the procedure and where his or her office is located as well as the number of units required and many other factors — including how much competition there is in the area and whether there’s a promotional price available. Botox is one of the world’s most popular anti-aging facial treatments for wrinkles, but making the decision to try it can be overwhelming and complicated if you don’t understand what’s involved. Some doctors charge by the unit injected while others charge based on where the injections are being placed. No matter how the pricing works, however, you need to understand how much you’re getting for the price you’ll be required to pay. That means you’ll want to know the number of units involved and how much you’re paying per unit. No honest practice won’t hesitate about giving you precise pricing. Here’s one example: a woman was charged $350 for her Botox treatment based on pricing per area. Since she chose the most reputable doctor she could find, the price was on the high end. She found it well worth the expense, however, because she respected the well-trained, skilled staff and was able to find plenty of positive patient reviews. In this woman’s case, it was worth paying more so she could be completely confident in her decision. That doesn’t necessary mean that high-priced doctors are better than less expensive ones. But the woman in the example above understood that while hesitating because a treatment is expensive is understandable, it makes just as much sense to hesitate if a treatment is extremely inexpensive. Surely, a very low price is an indication of lack of experience, an attempt to cut corners or other lapses. 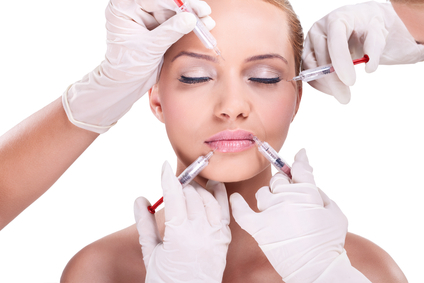 Since it’s absolutely possible to botch a Botox treatment, it makes sense to have it done by a skilled hand. When on a budget, look for promotional pricing on Botox injections. Individual doctors as well as many clinics and other facilities will sometimes offer such promotions, and these are often the most common toward the end of the year when people are in the market for touchups to get ready for holiday parties and visitors. Still, however, an offer for Botox injections at ridiculously inexpensive prices should raise a red flag. That means you shouldn’t look for Botox offers on Groupon or similar daily deal sites. You get what you pay for in many cases, and as in the example above, it makes more sense to overpay a bit than to underpay and not get the high-quality results to expect. Another reason to avoid online deal sites is that Botox may not be the anti-aging treatment you need. A reputable doctor will tell you that and suggest something that will work better. When you buy an online deal, you may be buying services you can’t use or don’t need. When choosing Botox, choose based on the skill and expertise of the doctor, not simply on Botox prices. So how much does Botox cost? Choosing the wrong office or physician can cost you dearly in anxiety and depression from botched results. It can also end up costing you financially when you have to have someone else try to even out the results. In summary, expect to spend a few hundred dollars on your Botox treatment. While shopping around can help you determine the range of Botox prices in your area, buying services based only on price is a bad idea. Choose Botox treatments based on expertise as well as how many units are used or what areas are being treated. And make sure Botox is right for you before buying anything. Botox may actually get less expensive for you as time goes along. That’s right: while Botox prices may remain the same or go up over time, your dosage and the frequency of your treatments may go down. Wrinkles can look permanently better with repeated use of Botox and may not get worse if you use the injections regularly. Here’s how that works: Everyday facial expressions make temporary lines show up on your face, whether those are expressions from emotions like smiling or from a habit like furrowing your brow. These so-called dynamic lines go away, but as you make these expressions day after day for years, the lines start to get etched in, getting deeper and deeper. That’s when you notice permanent frown lines and crow’s feet that don’t go away when your smile fades. When injections are done regularly, you effectively prevent the potential formation of wrinkles from continuing in the treated area. Since Botox limits the movement range of treated muscles when done skillfully — you’ll never look frozen when it’s done right — wrinkles don’t happen, so they can’t get worse over time. If you have the habit of lifting your eyebrows or frowning a bit without a reason, consistently using Botox can help you kick the habit and prevent the etching of lines into your skin through the years. Plus, as your facial muscles learn to relax, lower doses in the future or less frequent injections may be enough to maintain your desired results. In summary, while you may not need to use Botox all the time, using it regularly allows it to work better for you. Simply put, wrinkles get worse over time if you don’t use Botox and better over time if you do. But Is Botox Really Worth It? Temporary results with short-term and long-term implications? Regardless of Botox prices, is it really worth it? In the short term, you can look better. In the long term, you can keep from looking worse. For many people, that’s absolutely worth it. So, for the sake of argument, let’s say that Botox treatments cots $300 and last about 3 months. Maintaining optimal results, then, means having 4 injections each year at a total cost of $1200. Sounds like a lot of money, doesn’t it? But putting aside just $100 a month means you get the short-term and long-term benefits of Botox on your face and in your life. Sure, Botox isn’t really necessary, but it’s absolutely worth it. Try it for yourself and see. There isn’t a face cream on the market — even those that market themselves as a topical Botox alternative — that can freeze away wrinkles the way Botox does. You get quick and often amazing results when you have this sensible procedure performed for you. In summary, if you have the money and find the right doctor, Botox can often make a huge difference. And that means it’s absolutely worth it. When used in conjunction with a good skincare program and the right sunscreen, long-term Botox use prevents wrinkles, stops them from getting worse and more. And it’s safe to use and has relatively few side effects too. What’s not to love? Which anti-aging injectable is right for you? 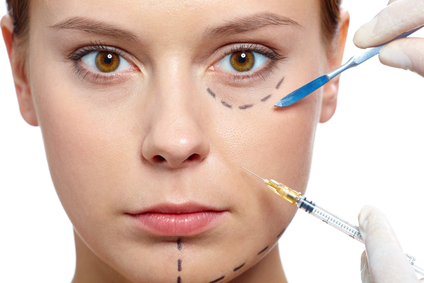 Injectable anti-aging treatments have become an increasingly popular alternative to surgery for a variety of reasons. Here are some things to be aware of before deciding to seek out one of these treatments. A survey was conducted of 2,500 physicians that perform cosmetic procedures by Medicard Financial, a Canadian company that focuses on funding cosmetic procedures. They found that injectable treatments like Botox, and fillers like Restylane and Juvederm were among the most popular cosmetic treatments for aging. In Canada in 2005, 126,554 injections of filler were administered as well as 142,374 doses of Botox. The survey revealed that the majority of people receiving these injections were women who lived in Ontario, British Columbia and Quebec. 72% of recipients were between 35 and 50 years of age, with the majority of the remainder being between 19 and 34. At the time of the survey, women accounted for 83.5% of injectable anti-aging treatments, but the number of men seeking these treatments has been increasing. Here is what you need to know about non-surgical anti-aging treatments to help you decide which one is best for you. Treatment with Botox uses an ultra fine needle to inject a minute amount of purified protein made by the bacterium clostridium botulinum into the face. The injection weakens the tiny muscles in the face, inhibiting facial expressions and the fine lines they cause. Botox is typically injected into the glabellar muscle where it minimizes the lines between the eyebrows. It is also sometimes used to diminish lines on the forehead, around the eyes to reduce crows feet, around the corners of the mouth and in the muscles of the neck. The effects of Botox typically wear off after about three or four months. When injected by a doctor or nurse, the cost is about $10 per injection. Expect to pay more, around $15 to $17 if you go to a dermatologist or cosmetic surgeon. Forehead lines may need anywhere from 12 to 16 injections to get rid of the lines. The area between the eyes could take as many as 30 injections. Crow’s feet will take 12 to 15 injections for each eye for women, 25 to 30 injections for men. Botox is fast outpatient procedure with no recovery time. In and out of the doctor’s office in about twenty minutes, you could have it done on your lunch hour and still have time to grab a bite. The sensory nerves are unaffected, so there is no numbness or tingling in the area. Botox requires no anesthetic or sedation as there is very little or no pain, due to the very fine needle used to administer the injections. It might feel a little like getting bit by a bug. Common side effects include bruising and a short-lived headache. Other potential side effects include a bit of swelling or redness, both of which are temporary. 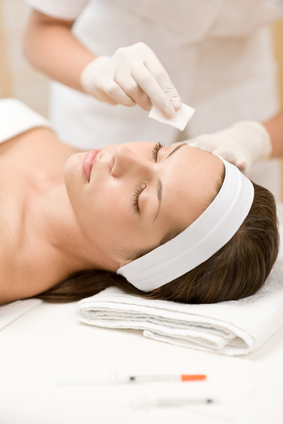 Restylane is a type of naturally sugar produced in the skin and other cells. Hyaluronic holds water much as a sponge, helping to hydrate the skin and improving the volume and density of cells. The body’s stores of hyaluronic acid declines as we age and as a result of exposure to hormones, medications and ultraviolet rays. Restylane is used to smooth out wrinkles, highlight eyebrows, fill in the area under the eyes, plump up lips and upper cheeks and smooth laugh lines between the nose and mouth, and highlight the profile in the area of the cheeks, jaw and chin. Restylane can also be fill acne scars, hide jowls and subtly change shape or symmetry of the face, softening a bulbous nose or filling in a ski-jump dip in the profile of the nose. There are several factors that affect how long Restylane treatments will last. How much is injected is one major factor. Another is the location of treatment. When Restylane is injected closer to bone, it lasts longer. Lip treatments usually last about six months, while treatment for laugh lines may last nine months. Cheek augmentations usually last even longer. Restylane is expensive, starting at $1,000 and can run as high as $2,500. Restylane is not an animal product, so there’s no risk of contracting disease and allergic reactions are rare. Restylane can be used on any skin type and treatments have immediate results and some areas of the face only need one treatment. Restylane is also made in half-vial doses that are great for touching up the upper life or for fine lines in areas with little fat. Common side effects include redness and swelling that may last for a few days, but should be gone in a week. Treatments around the lips may result in a bit more swelling than other types of treatments. Juvederm is a hyaluronic acid similar to Restylane, but it is manufactured using a different filtration process and different techniques to manipulate the molecules. Juvederm is used to treat moderate to severe wrinkles, lift the upper eyebrows, fill hollows under the eyes, plump lips and cheeks and accentuate the outline of the chin and jaw. Like Restylane, it can also be used for minor reshaping of the nose. Juvederm lasts six months or more and cost of treatment starts at $1,000. Each vial costs between $550 and $700. Lips can usually be done with one vial and the area between nose and mouth usually require one for each side. Cheeks may take as many as three vials for each side. Juvederm’s benefits are similar to those of Restylane. It is not an animal product, so risk of disease, allergic reactions are rare and it can be used on any type of skin. Swelling and pain are minimal. Side effects are also comparable to other injectable anti-aging treatments and include redness, swelling or bruising, all of which are temporary. Reports of nerve or blood vessel injury are rare, but have occurred. If you are a qualified medical professional, and would like to learn how to use Botox (or Restalyn or Juvaderm) to enhance your business, visit our Botox Training Page and learn from the inventor named on the patent applications for Botox! The wide square handle with the orientation indicia indicate the direction of the guide post; The middle sleeve holder is the round section just beyond the square section. The sleeve holder holds the middle sleeve that directs the drills that determines the implant direction. It is this metal sleeve that is ultimately going to be bonded to the pre-made jig; The third section, the widest section is referred to as the ‘platform stop’. When the metal sleeve is placed over the sleeve holder, it can go as far as the platform stop; The final section is referred to as the ‘measuring post’. This narrow, tapered end has 3 mm calibrations that are used as a reference to calculate the vertical height of the bone and the socket. Excess of 3 mm sections are cut off to ensure that the platform stop is level with the crest of the socket or level with the gingiva just about the socket. There are direction bumps or indicia on the handle of many of the inserts. When the arrow is aiming downwards, it means that the tip of the mesaruing post is actually behind the handle. When the arrow is facing upwards, it means the tip of the measuring post is in front of the handle. When the elongated rectangle slopes down from the top right to the lower left, it means that the tip of the measuring post is to the left of the handle. When the elongated rectangle goes from the top left to the lower right, it means that the post tip is to the right of the handle. Each insert has two main functions. The function of the measuring post is to use as a reference to measure the available bone height on x-ray and the round sleeve guide is to direct the metal sleeve and position it correctly into the jig. The insert is ideal when the sleeve guide (the round, cylindrical section) is aiming in the direction of the ideal location in the bone where you would like the implant to be placed. The platform, the widest section, should be level with the gingiva and the measuring post should approximate the depth of the socket. The length of the measuring post and the depth of the socket should be almost the same. There will be daisy elastics around the measuring posts and these daisy elastics will engage the socket wall and hold the inserts steady so that the metal sleeve can be bonded to the pre-made jig with ease. In order to place the metal sleeve correctly, the measuring post should be stable, firm and centered in the socket. In order to achieve this, daisy elastics are placed around the measuring post. These daisy elastics will center the post in the socket and not traumatize the bony wall. When placing the elastic on the measuring post, hold the insert close to the free end where you’re attaching the daisy elastic. Do not remove the daisy elastic from the large circle where all the daisy elastics are attached. The daisy elastic must be attached to the circle. Push the free end through the hole in the center of the daisy against your fingertip. When the end of the measuring post goes through the hole in the center, only at that point in time will it detach the elastic from the round circle where they are all attached. We’ll hold it towards the end and rotate it slowly, pushing the point through the daisy. Do not hold the insert on the other end. If you hold it too far from the end where you are placing the elastic, the measuring post will snap. Inserts should be adapted to match the sockets where they’re being used. The post length approximates the depth of the socket. The platform (which is the widest part of the post) should be level with the gingiva or slightly above the socket crest. To adapt the post length, remove 3 mm sections. Cut them off with your burr, with a scissors and try to snap them off with your fingers. Place the insert in the socket and check the length of the measuring post to the length of the socket. In this instance, we can see that the insert is 6 mm too long, so we remove the insert from the socket and cut off two 3 mm sections. And then we can place it back into the socket and we will see that the platform is now level with the gingiva. When you have attached the metal sleeve to the jig, you can then take an x-ray of the entire assembly in the mouth. You’re going to use this x-ray to calculate the bone height and the depth of the socket. The 3 mm calibration show up very clearly on the rather opaque insert. Each insert has two main functions. The function of the measuring post is to use as a reference to measure the available bone height on x-ray and the round sleeve guide is to direct the metal sleeve and position it correctly into the jig. The inserts are selected from the kit (and the drill) at a predetermined site on the jaw bone. The straight red insert will center the implant in the same location as the extracted tooth. The calibrated tapered end is centered in the socket by the orange elastic around the post. This end is cut to length so that the wide platform is leveled with the gingiva above the socket crest. The middle sleeve on the insert is then bonded to the premade jig. The green insert will position the implant drill parallel to the socket interseptal bone. The blue insert will angle the drill away from the socket’s center as required in the anterior teeth with limited facial bone. The purple insert is useful on divergent root sockets. Ideally, we would like to see the implant emerge centered in the space that was occupied by the extracted tooth. An insert will be selected to place the drill exactly into the ideal location centered between the adjacent teeth. The longest, straightest socket will be selected, the measuring post will be cut to length and will be placed into the socket. All Safegide inserts and verification point show up well on x-ray, so it is easy to calculate drill depth with the Safegide system. It is important to drill to an exact depth so that no vital or sensitive anatomical structures are damaged and your implant is correctly placed. Drill stops are not universal. You need to select the type that matches the manufacturer of the drill that you are using. Also, when you place the drill stop onto the drill, you place it on the latch shaft side. You do not slide it over the cutting end of the drill. Drill stops come in a range of sizes. In order to calculate the ideal drill stop size, one adds up the height of the metal sleeve, the gingiva and the bone and any additional depth where one intends placing the implant. One totals up all these measurements and subtracts that from the length of the drill that emerges from the hand piece. That difference will give you the height of the stop to place on the burr. The metal sleeve on the drill guide will direct the drill exactly where it is supposed to go. When the plastic drill stop hits the metal, it will prevent the drill from going any deeper into the bone. I am going to give you a very quick course. I am going to show you very quickly how to add another step when you are doing your socket preservation that will enable you to always place accurate implants without the risks of nerve or bone perforation. Very few of you may be doing implants because of the risks, technology and cost. Before I start here are some quick pointers to reduce most of the risks. Don’t place implants above the mental foramen, in the upper and lower 2nd molar areas, and try always use short implants with platform switching (The abutment is narrower than the implant. But as I said this is not an implant course. This is just to show you another step that you should do be doing when you do socket preservation. So the easiest time to accurately place an implant is when you take out the tooth and the reason for that is that you are able to see inside the socket.It’s not always convenient to place the implant at the time of extraction. There may be infection, a socket wall defect or the patient does not want the implant on that day. Regardless every time you pull out a tooth you should be recording and preserving the socket. Let me show you why. When the inside of a socket is visible you can center the implant in the socket, or into the septal plate, or to offset it lingually if there is deficient facial bone; there are a variety of Safegide pegs that will allow you to preselect any position in relation to the open socket. Before you position the bone replacement material into the socket, record or “pick up” the socket dimensions and relationship with a disposable Safegide socket insert and bite registration material. So at the time of extraction you pull out the tooth and you insert a little plastic insert that looks like a peg into the socket. These plastic pegs are made out of a special proprietary type of plastic that is antibacterial and shows up in 3D on a regular x-ray. If the peg is too long it can be snapped to size with your fingers. The peg has 3mm markings like a perio probe that show up on an x-ray. This allows you to measure bone height easily so that you canselect the right length implant. The metal ring on top that sticks out the socket becomes a drill guide. So you pretty much take a piece of plastic, snap it so that the bottom of the metal part is level with the bone crest, and take your bite registration with a very rigid material.Your pick up gives a very accurate representation of where the socket is, the angle of the socket, the depth of the socket, all the information that you need to do the implant at a later date. Then you remove the plastic peg which will leave the metal ring attached to bite registration material. On the day you want to place the implant simply place the bite registration in the mouth and drill to your desired length. The guide will also show you where to remove gingiva if you do not want to raise a flap.Another reason to use this technique is you may want a guide to use on the day of extraction simply to stabilize your drill. It will take a week or two plus many hundreds of dollars to have a laboratory fabricate a guide that you can easily do in a few seconds for less than the cost of a pizza. Your cost and time are low enough that I suggest that you make a guide with every extraction for free. This gives you another wayto put a ring on your patients finger so that they come back to you for the implants. If you are not taking out the tooth on the day you make your diagnosis then you can simply take impressions for a working cast model. Then make a plastic jig out of triad on the model with a hole in the Triad above the tooth to be extracted. Or make a jig in the mouth using Triad and your curing light. Complete the guide on the day the patient comes in for the extraction. There are many reasons why you should have a guide if you want to place an implant, that’s because it makes things very safe and very easy. The alternatives for the patient are a CT scan and a lab fabricated guide. This may be inconvenient and adds an extra $1000 on an implant which may make the procedure unaffordable.